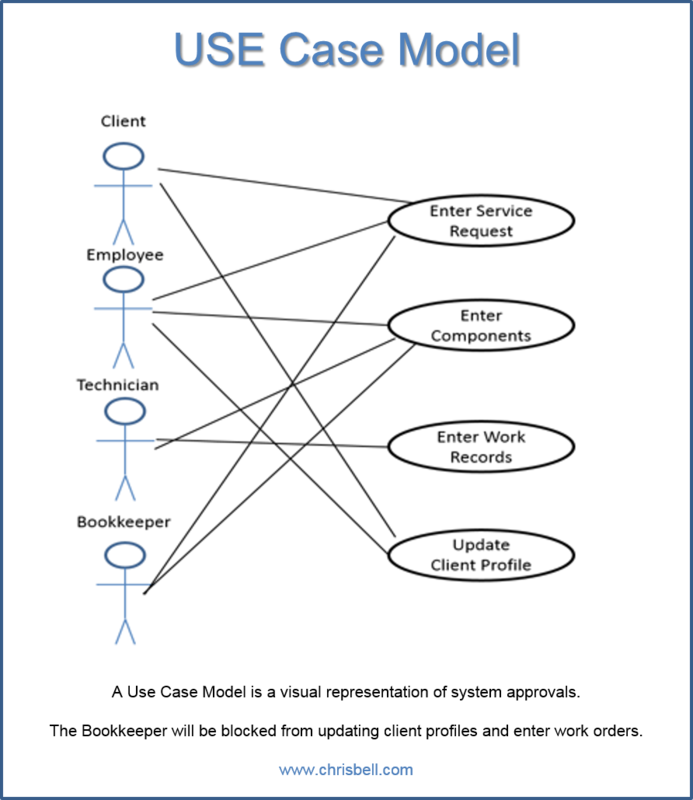 The Use Case Model is a visual diagram to show which "Actors" can use each part of the system. 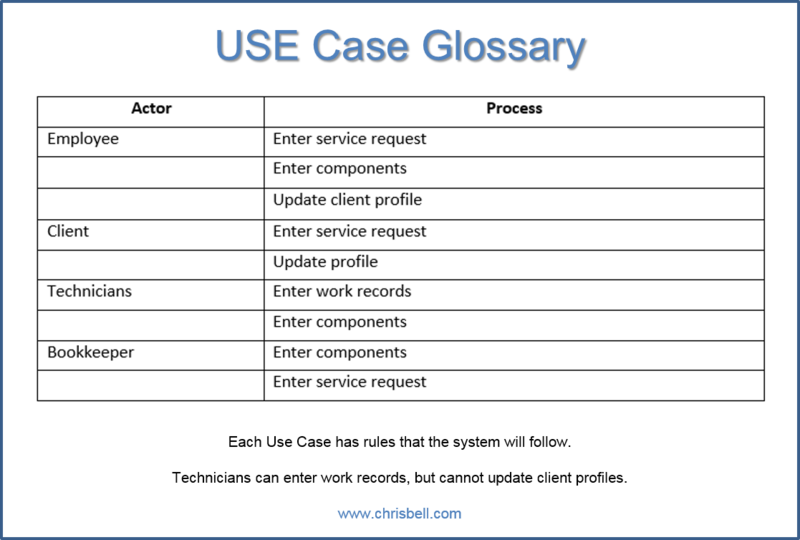 Users in the world of information systems are call Actors, and each actor has specific areas that they can access. Every class and job function I've done in the web design field requires both written and visual layouts. Sometimes a visual diagram can bring ten pages of words into a single page with arrows that makes perfect sense.